Legislation expected to be passed today to remove the two-out-of-three ownership rule will mean an inevitable loss of diversity in the Australian media, says the union for Australian journalists and media workers. Throughout this long debate, mergers and acquisitions have been talked about as the inevitable consequence of removing ownership rules. That means fewer owners and it also means fewer journalists after the job losses that follow mergers. Media, Entertainment & Arts Alliance chief executive officer Paul Murphy commended the Nick Xenophon Team for attempting to get the Turnbull Government to adopt positive initiatives and policy changes to genuinely foster increased diversity in our media landscape. “Any initiative to support new investment in journalism is welcome, but it should not come at the price of existing safeguards being removed,” Mr Murphy said. MEAA will be looking closely at the details of the jobs and innovation package, in particular to ensure that the wages and working conditions of any trainees in the program are appropriately safeguarded. “This is a poor day for media diversity,” Mr Murphy said. “The last important protection – the two-out-of-three rule – has been abandoned and there is nothing in its place. 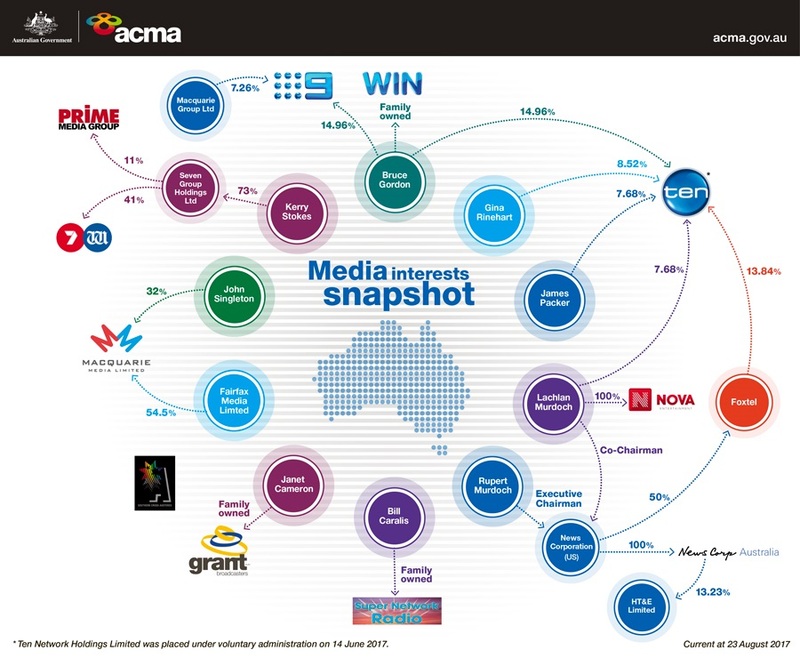 “Australia, which already has one of the highest concentrations of media ownership in the world, is now saying that a plurality of media voices doesn’t matter. And history shows that once diversity is lost, you cannot get it back. “The structural challenges faced by the Australian media sector will only be slightly stalled by these reforms. As companies amalgamate, more media jobs will be lost and with their loss, public scrutiny will be further reduced. Through the Senate Inquiry into the Future of Public Interest Journalism, MEAA will continue to press for meaningful reform to genuinely encourage and promote a diverse and robust media landscape.